Welcome to iContact the brand new easy-to-do card trick that promises to get you amazing reactions! Imagine having a card freely chosen and then asking a 2nd person to merely THINK of another one. Amazingly, when the chosen card is turned over, the thought of card is written on the back of the first chosen card! Stunning magic and best of all, very easy to do! Watch Richard Bellars, star of Penn & Tellers "Fool Us" and see just what amazing reactions this trick gets... every time! Best of all there is no sleight-of-hand involved. iContact comes with an instructional DVD shot in HD to our usual high standards and also a special deck of Bicycle Playing Cards that do all the hard work for you . Also featured is a FREE Bonus routine called 'Touched' by Gary Jones in which he explains the complete routine in full detail for the first time on DVD. You'll see a live performance and be taught taught the routine. The iContact Deck - A detailed description of just how the deck works and how to set it up (some writing on the cards will be done by you). Please remember this is NOT a regular deck of Bicycle Playing cards and they have been put together especially for this effect. Alternative Routines and Ideas - Join Chris Congreave and Gary Jones as they offer hints and tips, plus alternative handlings even using people's names! FREE BONUS ROUTINE - GARY JONES' 'TOUCHED' - Join Gary Jones as he performs and then explains in detail, his brilliant routine 'Touched'. This is the original inspiration for the iContact deck (Alternative cards are required but available from most dealers). 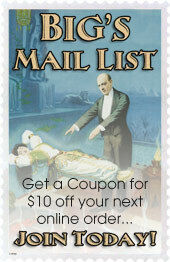 Click the button below to add the iContact (DVD and Gimmick) by Gary Jones and RSVP Magic - DVD to your wish list.